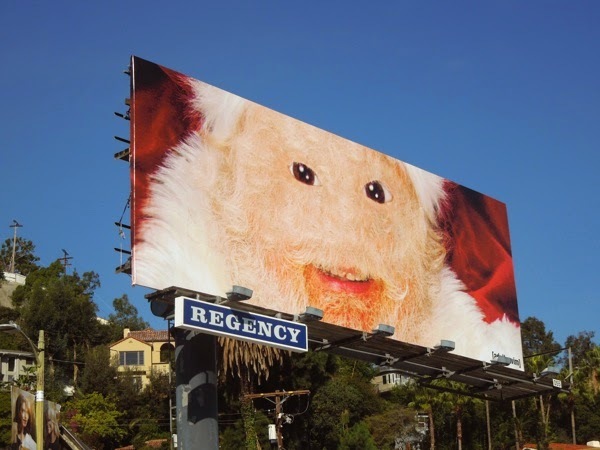 One thing you can always guarantee with Adult Swim's Christmas greetings billboard, it's usually quirky, unconventional and ever so slightly unsettling. This year is no exception, as this furry-faced Santa Claus from the TV network is one creepy St. Nick. 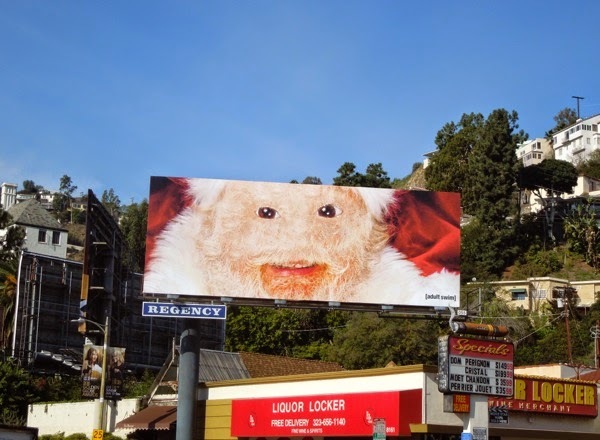 This festive, yet disturbing outdoor ad was snapped along Sunset Boulevard in West Hollywood on December 21, 2014, and if this imagery tickles your fancy, be sure to also check out this Adult Swim Happy Holidays billboard and these Adult Swim Santa billboards from seasons past. 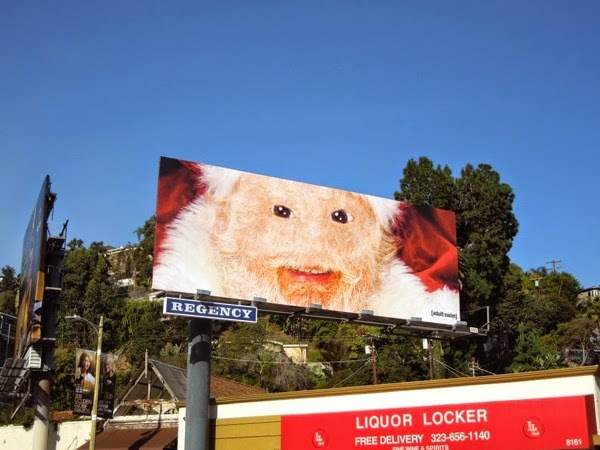 If you prefer your Father Christmas a tad more jolly (and less hairy-faced), be sure to enjoy these more traditional Coca-Cola Santa billboards and these festive GNC Live Well Santa Claus billboard ads too. 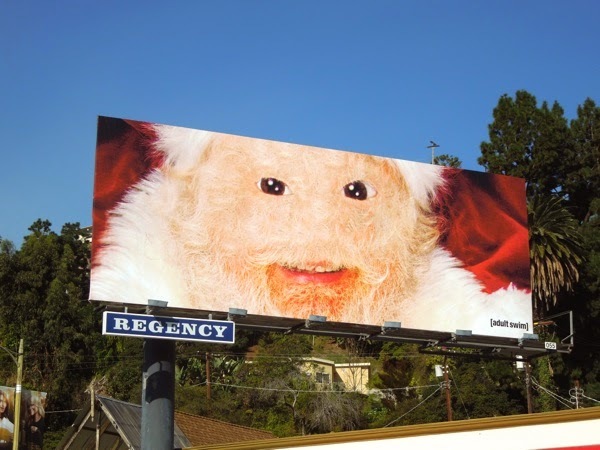 Hopefully this billboard hasn't made you lose your holiday spirit, as there's only one more sleep until the big day.